With the upcoming elections in Kenya, now is the time to review your plans. KK Security can provide you and your company with the tools to prepare your workplace and train your staff, maintaining your duty of care responsibilities over the next 8 weeks during the election period. We know that being prepared is key to dealing with unfamiliar circumstances, should they arise. 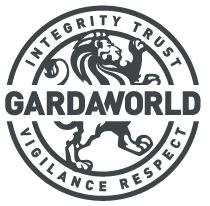 The recent acquisition of KK Security by GardaWorld, the world’s largest privately owned security company, ensures our clients receive the most appropriate advice and training for their respective profiles and locations and are looked after by the very best security professionals. Our combined experience allows us to deliver services to the highest international security and safety standards. Meeting these standards requires comprehensive training for our staff and gives our clients an uncompromising point of view on available security infrastructure. KK Security has been delivering security training, infrastructure assessments and business continuity design and planning for over 20 years. This ensures that businesses and staff are properly prepared for the environments in which they live and work. A combination of modern security infrastructure and security training gives you and your staff the ability to make informed decision during difficult situations. We have identified some key areas for your consideration. If you would like to learn more about election support solutions from KK Security contact electionsupport@kksecurity.com today.